NU Associate Head Coach Jerry Keefe with players. Photo Credit: Matt Dewkett. Talent is a precious, and rare, gift. And there's no doubt that pure talent can take a player far. But talent on its own also has a ceiling. It’s when a player is willing to round out his or her natural fortune with all the characteristics of just a "good" player, that any player can go from great to elite. Keefe, who played his college hockey at Providence and will be serving as an assistant for Team USA at the IIHF World Junior Championship later this year, also believes the perfect hockey player, if there is such a thing, is a very smart hockey player, and there’s no time to start on that path than the present. Whether your ceiling is good, great or elite, a hockey IQ is going to help. Keefe suggests one of the best ways to learn the game is to watch the game. Yes, Crosby is supremely talented, but he also does have savant-like awareness and a creativity in where he goes with the puck – often to increase the advantage his given abilities already afford him. Determination isn’t just about being on the ice and winning a puck battle, though that comes in to play, too. Determination is also about players being determined to give themselves time to improve and to put in the work to do so. Young players who are enjoying the game and have an interest in improving should be focused on that enjoyment factor. Today’s OK player could be tomorrow’s elite player. Any message to the contrary can be a disservice. As players progress through the ranks, that determination can mean making the most of a chance. 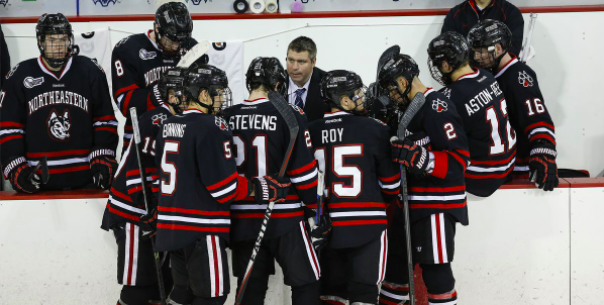 Keefe, who went on to play parts of four seasons in the minors before his first coaching stint at UMass-Boston, which was followed by Brown and Northeastern, has seen countless players come and go. Average players, good players, great players … and elite players. How much of this, like determination, is between the ears? The mindset isn’t easy to shake, either. It’s often hard-wired. We do hear the phrase frequently: They make their teammates better. But what does an elite player do to make his or her teammates better? It’s getting a teammate the puck in stride on the tape and with the perfect pace for the situation. It’s making plays with and for teammates. Throughout all of these pieces, it’s also important to remember that very few of the chapters being written each weekend across the rinks of the region and the country are even partially formed for the full story. And yet, especially as players grow into their teen years, elite effort can pay off at an elite level. The difference between great and elite may be riding on it.